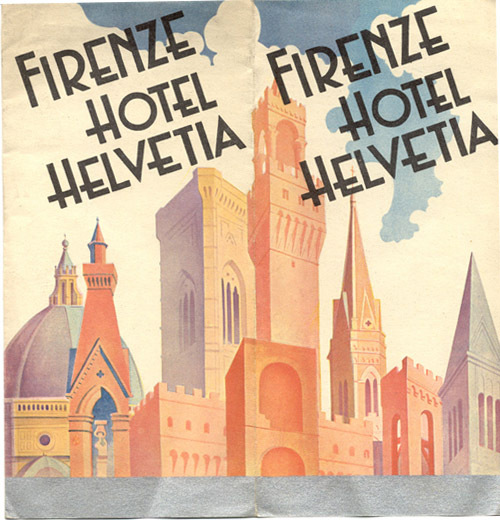 Travel brochure for the Hotel Helvetia in Florence, 1934. Published by the Hotel Helvetia. Signed "Richter & Co. - Napoli."